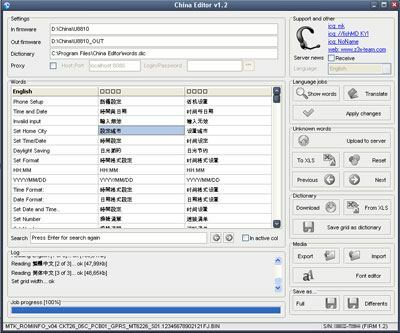 Activation China Editor for Z3x Box allows you to activate China Editor support on Z3x Box - support all of known models based at MT6205 - MT6227. You can create own language, edit known one, create fonts etc. We need your SN of dongle/Box to activate this feature on your Box ! Comfortable navigation through "unknown phrases"